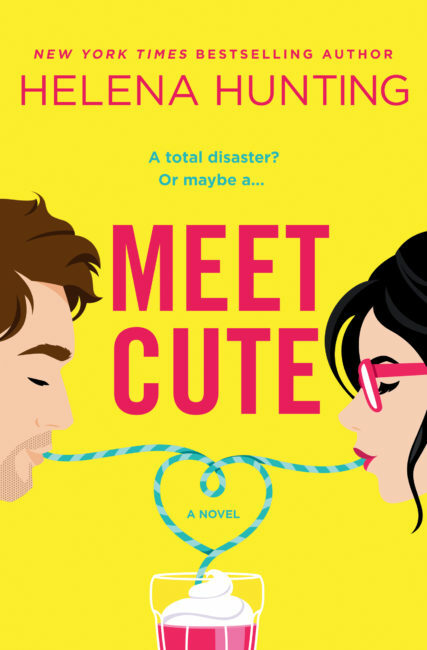 Meet Cute is Helena Hunting’s newest romance. I’m a huge fan of Helena’s and this book really has everything I love about reading. Fun, sexiness, heartbreak, angst, sadness, hope, family, friendship and love. Helena always gives us characters to fall in love with, get angry at and cheer for. Kailyn and Daxton meet in one of my favorite meet cutes ever! She literally runs into him only to land on the ground underneath him. She then realizes he’s her favorite actor from childhood who she has a major crush on. Then there’s the fangirling! And more tripping and finally they become sorta friends. They are competitors but they push each other to be better. She didn’t see the betrayal coming and it stings but she moves on. Only to come face to face with him eight years later. She’s still bitter but he needs her help and she knows how he and his sister are feeling so she gives him what he needs. Turns out they still have amazing chemistry and she can’t fight her body’s reaction to him. Dax always had a thing for Kailyn but the timing wasn’t right. Now she’s a part of his life for a while and he knows it’s not the perfect time, but he can’t help himself. She drives him crazy in her pencil skirts and crazy stockings. But what happens when she becomes too distracting? Can they make it work with so many obstacles and secrets? I loved this story! It has so much heart! I had so many emotions: happy, sad, mad, hopeful, and hot and bothered!